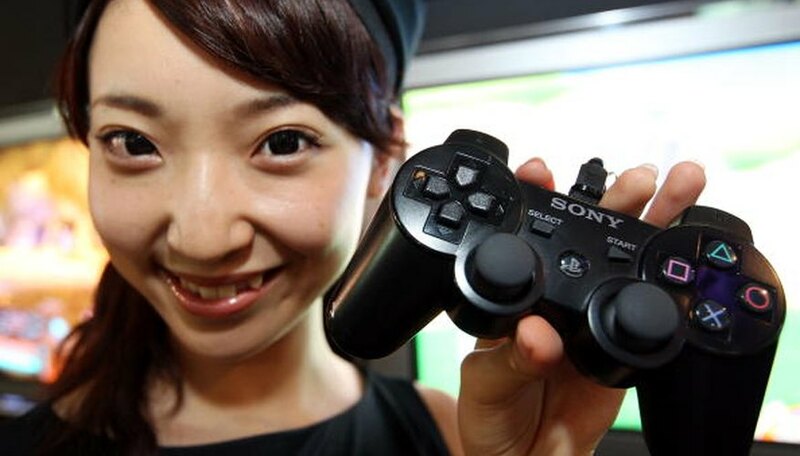 PlayStation 3 uses the Dualshock 3 controller as the primary input device for operating the system. Every once in a while, the controller will freeze up and become completely unresponsive. Common symptoms of this are when the red indicator light at the top of the controller continuously stays lit or doesn’t stop blinking even after the system is turned off. Although this problem is not harmful to the system, it can be an annoyance and can prohibit your from operating your PlayStation 3 for an extended amount of time. Plug the controller into the PlayStation 3. If the controller begins to work again, then the battery may have just been dead. If the controller does not hold a charge when unplugged, the battery may have to be replaced. Unplug the controller and flip it over. Between the two control sticks in the upper right corner, there is a small hole with a button inside it. This is the reset button. Press it with a paperclip, and if the red indicator light turns off, then the controller has completely reset and is back to working order. Remove the five screws that are located on the underside of the controller with a Phillips-head screwdriver. Gently lift away the back panel to expose the battery in the center. Unplug the small cable that runs from the battery to the circuit board by carefully pulling on the plastic connector. Wait about five seconds and then plug it back in and reassemble the controller. If the red indicator light turns off, the controller will work again. Set the controller down and let it sit for a good 24 to 48 hours or until the light turns off. Plug it into the PS3 with the system turned on. The controller should operate normally but will need to be charged. If these solutions do not work, the controller may me defective or damaged. Contact the manufacturor for additional support or warranty information. Tom Jones has been writing since 2007. He served as a reporter for his university newspaper and as a writing coach for his university's writing assistance center. Jones received a bachelor's degree in business from the University of North Carolina at Wilmington.